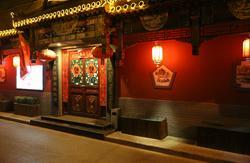 Beijing Lanting Youth Hostel is the newest addition to the HI network of hostels in Beijing and one of the many HI hostels in China. 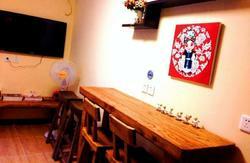 The hostel is located close to ancient capital with convenient transportation to the city. It is near the national stadium bird nest and close to many places of historical interest like China Millennium Monument and the temple of earth as well as the temple of heaven. 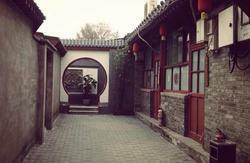 Beijing Lanting Youth Hostel is a traditional courtyard building. its location near the ancient capital of the central axis, is located south west of North Third Ring Road Ahn Jung convenient transportation and elegant environment, as from the National Stadium Bird's Nest, Water Cube nearest youth hostel. Around the adjacent Olympic Park Inn, Dadu City Wall Relics, the Chinese garden, to the altar, the Lama Temple and other Olympic venues and attractions; ride to the Confucius Temple, Shichahai (after Shanghai), Gong House, the Forbidden City, Tiananmen Square, Wangfujing, Temple of Heaven, Summer Palace, etc. very convenient . Unique architectural style inn, lush green vegetation, forest trees, flowers; room warm and elegant, perfect facilities, although the office downtown area, but Naozhongqujing, Journey Into Amazing Caves.